See steam coming out of your boiler and wondering what’s causing it? If you see steam coming from the body of the boiler or surrounding pipes, you likely have a leak somewhere in the system and will need a professional’s help ASAP. If you see steam coming from the pressure relief valve (a small valve located on top of the boiler) or from the drain attached to the safety relief valve, you likely have high pressure levels in your system. Let’s take a closer look at what the pressure relief valve is and what you should do if it starts letting out steam. Need help right away? Give us a call, and we’ll quickly send over one of our certified plumbers to fix whatever is causing the problem. 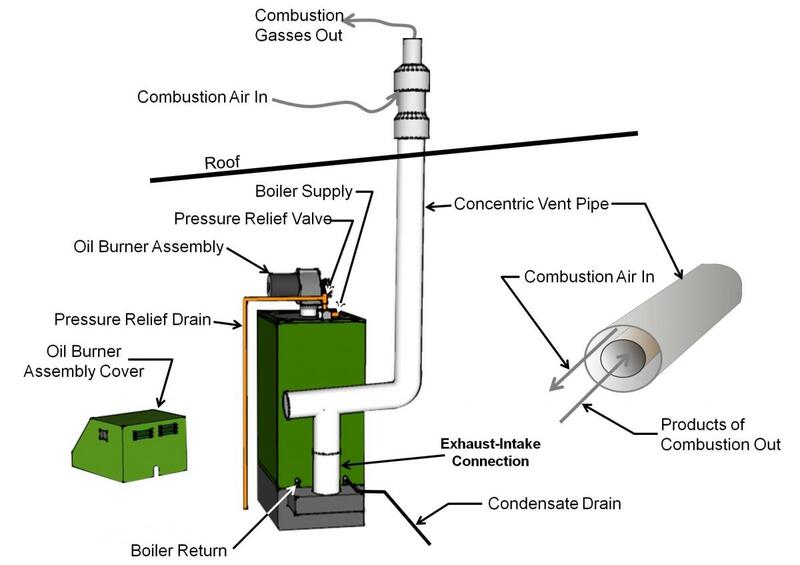 Your boiler’s pressure relief valve (often called a “safety valve”), is a safety mechanism that sits on top of the boiler and helps maintain proper pressure levels inside your boiler. Let’s take a closer look at both of these problems. Your pressure relief valve is designed to open and discharge water when pressure levels inside the system reach dangerous levels. When the pressure inside the boiler hits a certain level, the valve opens automatically with a pop-action lid and lets out steam/air that’s discharged to the bottom of the boiler via the pressure relief drain. The valve then recloses when the pressure drops to a safe level. The good news? If you’re seeing steam/hot water at the bottom of your boiler, your safety valve is doing its job. The bad news? You likely have higher than normal pressure levels in your system. 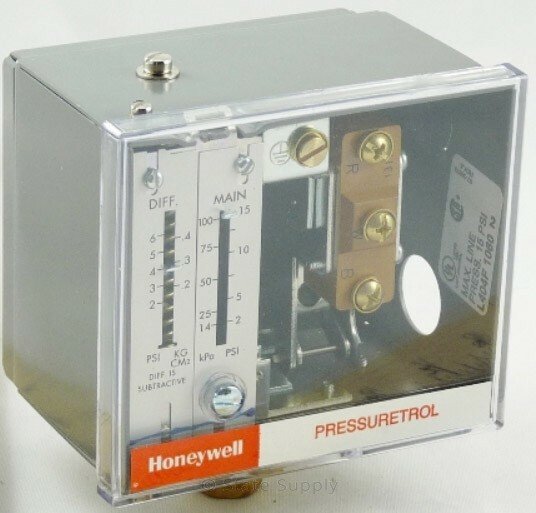 Bad pressuretrol: The pressuretrol controls when your boiler’s burners should turn on and off based on steam pressure in your system. If this control is failing, it could fail to turn off the burners, which would eventually overheat the water. Since water expands when heated, it would result in higher pressure levels. Air lock: Sometimes air gets trapped in your boiler heating system which increases pressure. You’ll need to “bleed” your heating system, which means release air from your radiators to equalize pressure. Defective water valves: If one of the water valves in your boiler system is defective, it means extra water may be seeping into your boiler system, which will increase pressure. Expansion tank needs to be drained: Some older boiler systems have an expansion tank, which is used to take on excess water (water expands when it’s heated) to balance out pressure levels in the boiler. If too much water builds up in the tank or there’s a blockage in the connecting pipe, then you may have super high pressure. The way to solve this is to drain the tank. What do I do if I see steam from the pressure relief valve/drain? First, you’ll want to determine whether the problem is actually high pressure levels OR a bad pressure relief valve. Locate your pressure gauge. 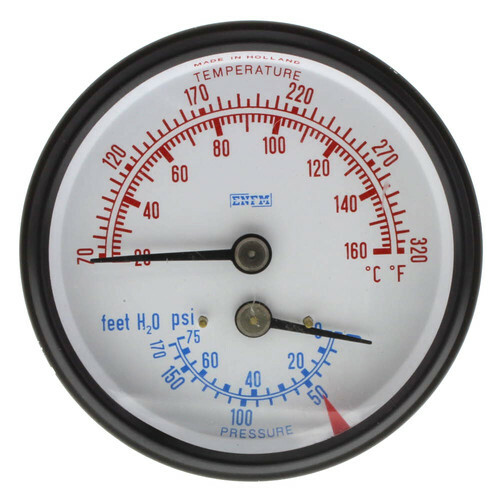 Your pressure gauge is most likely located on the side of the boiler, and looks something like this. Look at the pressure level. Pressure levels in residential boilers should be around 12–15 psi (pounds per square inch). 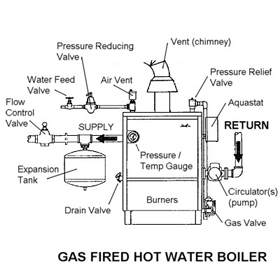 Contact a professional if your boiler’s pressure levels are higher than 12-15 psi. The problem may not be with your boiler’s pressure levels, but rather with the pressure relief valve itself. Over time, these valves can malfunction due to normal wear and tear. They may open up more frequently or may not seal properly, which could result in discharged steam even when pressure levels are normal. So, if you see steam from the pressure relief valve and drain but the pressure levels on your boiler are normal (or lower than normal), then you likely have a bad pressure relief valve and will need a professional to replace this valve. Need a boiler repair in the Minneapolis-St. Paul area? Contact MSP to schedule an appointment with one of our heating professionals. We’ll send over a heating expert ASAP so your boiler can run smoothly again. Visit our boiler repair page to learn more about boiler repairs and how to schedule an appointment with one of our service pros. How Much Does It Cost to Install a Gas Boiler in Minneapolis-St. Paul?